Lighthouse is a new brand from respected builder Stanley Boats aimed at retaining the heart and soul of the Stanley brand but elevating it to the next level. 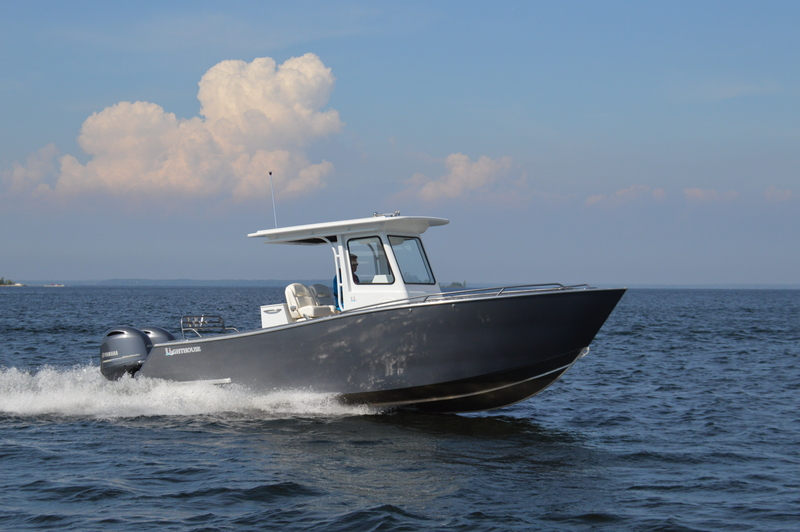 I tested the prototype finished in metallic grey and white and this truly is a new class of recreational boat. 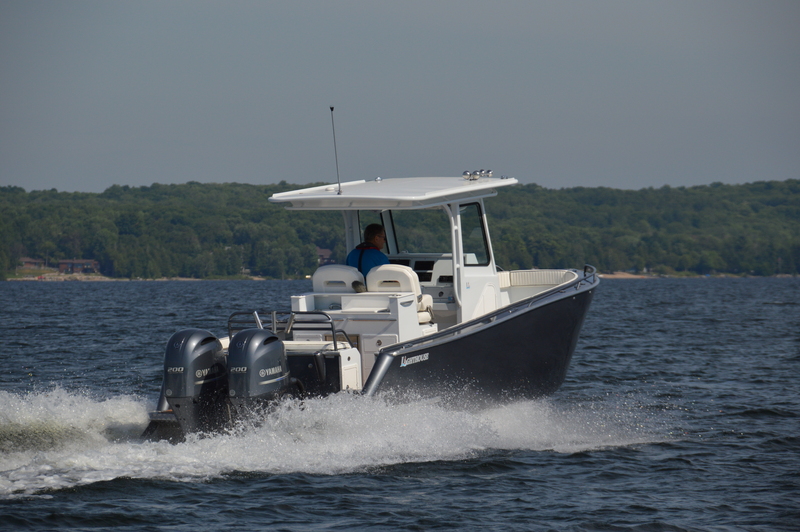 Unlike most centre console boats, the console is protected a hardtop and partial enclosure. On the production model you can expect upgrades to the windows for ventilation. Top quality stainless steel hardware is present from bow to stern. 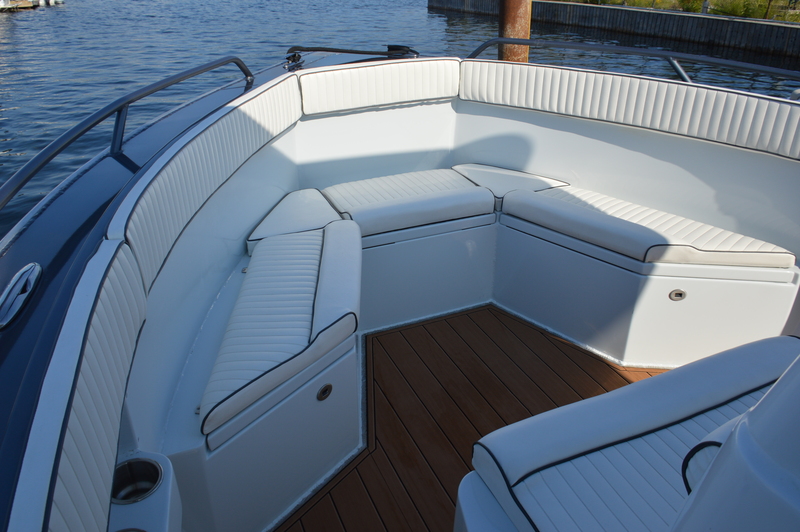 Boarding is easiest at the transom through two entries with locking gates on either side of the transom seat, and secure footing and handholds. Under the hatch on the starboard is a swim ladder. On the production boats the diamond plate will be replaced and updated with Sea-Deck imitation teak flooring, matching the interior decks. 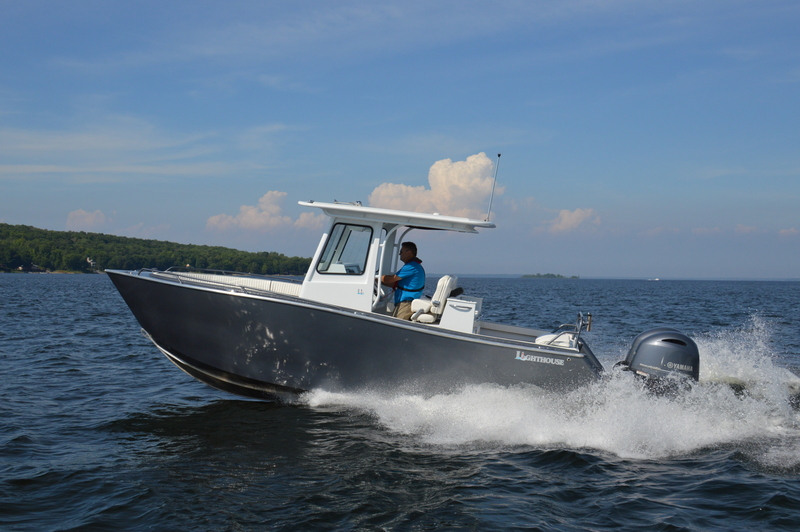 The transom seat contains a large bait well and access to the twin batteries. The seat back support is tubing with available rocket launchers. The final upholstery style for the seat and back cushions was not finalized. Aft of the helm is a unit than can serve as a bait and tackle station or refreshment centre. It is nicely designed with a sink, drawer style refrigerator and multiple drawers. 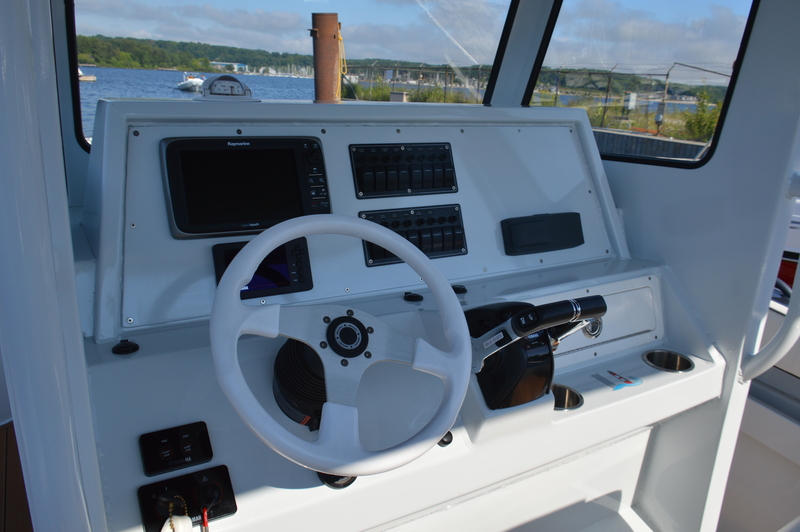 The helm is clean and uncluttered with space for flush mounting plenty of equipment. All of the required items from the tilt wheel, to electronics, stereo and switches are top grade. The quality and comfort of the twin helm seats really stood out to me. Forward, incorporated into the console, is a jump seat with gasketed waterproof storage. The same is incorporated into the bow seats. 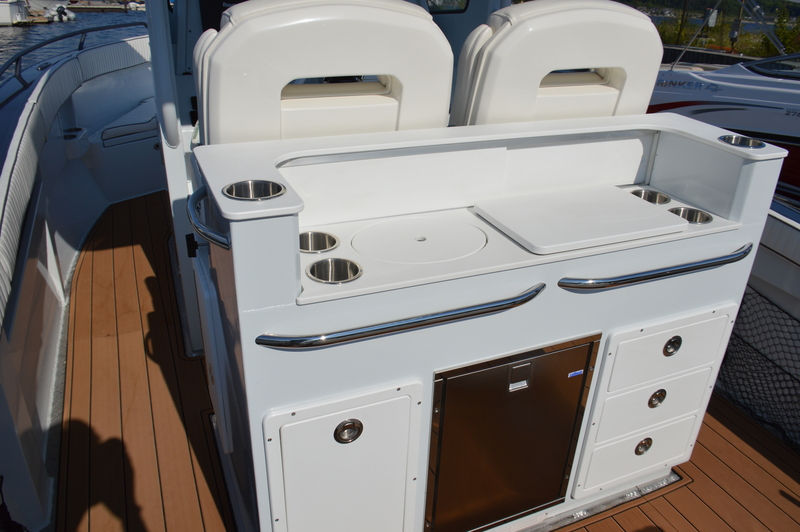 Not only is the console proportioned to fit with the boat, it provides decent access and space for a head to accommodate most people. After getting a feel for the hull design and steering, it was fun carving turns of various radiuses at different speeds. The hull design had no bad habits and preformed well.